When you write for the internet, there’s one word you end up using a lot: SPOILERS! There is perhaps no more powerful word in digital discourse. Its presence guarantees many will instantly stop reading, and its absence will provoke a riot in the comments about all the virginal first experiences you have ruined with your thoughtlessness, while also completely ignoring whatever you actually wrote. If the government ever wants to hide top secret documents on the internet, they should just slap a spoiler warning on them. Why do we hate spoilers so much? Because we love endings. We crave that sudden rush of enlightenment that comes as all the narrative pieces fall into place and the author’s message becomes clear to us. Even if an ending is bad, we can forgive the writer as long as we get what we so desperately want: that warm and fuzzy feeling only closure can give. And when a story fails (or refuses) to deliver on the implicit promise of a beginning followed by a middle and an end, it can be quite vexing. But it can also be inspiring, because if we aren’t told what happens next our imaginations might just start filling in the blanks for us. That’s how fanfic is born. Let’s take a look at five frustratingly unresolved plots just waiting (and waiting) to be answered. The plot: Private investigator Philip Marlowe is hired to get to the bottom of a blackmail plot that quickly spirals into a multiple homicide. In his trusty trench coat and fedora, Marlowe drinks and smokes his way across 1930’s LA, stopping here and there to interrogate and punch people. Sometimes both at the same time. Like many of Chandler’s novels, this one concludes with a climactic scene where Marlowe confronts the guilty and unravels the entire mystery. Almost. Though he solves four murders by the end of the book, someone knocked the family driver on the head before pushing him off a pier, and neither Marlowe nor Raymond Chandler, a.k.a. the guy who wrote the book, know who sent him to the big sleep. Why? WHY?! This was the first time I recall being seriously perturbed by a lack of narrative resolution. I liked mysteries because no matter how intricate the plot might be, there was always an explanation that made sense waiting in those final pages. Marlowe makes a half-hearted attempt to guess who did it, but that guy couldn’t have. Although complex and convoluted are understatements when discussing the plot of The Big Sleep, this unsolvable mystery was perpetrated not by meticulous planning, but a lack thereof. Many of Chandler’s novels were Frankenstein monsters of stitched-together short stories, and he didn’t always make sure all the pieces fit. Despite the volumes of academic speculation that have followed, we will never know who took the life of Owen Taylor. The plot: Things get even more bloody in the lawless town of Deadwood when obscenely wealthy gold-mining magnate George Hearst moves in with an army of Pinkertons. Hearst uses his money and influence to wage a campaign of terror and violence on the residents of Deadwood as he seeks to take total control of its government, and by extension, all of its mining sites. Seth Bullock and Al Swearengen try to oust him through a legal election, but it looks like the votes have already been bought. Swearengen sends out to hire some more guns and prepares for the inevitable battle for Deadwood. You would be hard pressed to find a villain in the history of television easier to despise than George Hearst, and it is absolutely maddening that his story ends with neither a well-deserved defeat or a totally unfair victory. The saddest part? When recruiting men for the fight, one of Swearengen’s thugs tells him he’s hired “almost 18 people.” Al asks what the hell “almost” means in that sentence, and is informed that one of the recruits is a midget who is “Hell with a knife.” Before the final scene of the show we get a pan across the town’s thoroughfare where we see the ranks of fighters squaring off. Among them is a midget in a top hat and coattails with a magnificent handlebar mustache and a knife on his belt that looks longer than his arm. I really wanted to see that guy tear through the Pinkertons Yoda-style, but HBO said no. Why? WHY?! Deadwood was felled by the bane of all televised narrative: cancelation. Exactly why the brilliant, critically-acclaimed and well-rated show was cut short of a fourth season is still the subject of much speculation, as the series creator changes his answer every time he’s asked. Regardless of the reasons, its a crying shame we never got to see the epic conclusion the show was clearly building towards. Of course, if you really want to know the ending, history has an answer for you: Deadwood burned to the ground. But this is one of those cases where simply knowing what transpires at the end is nowhere near as interesting as how it happened. In any event, the series will do doubt inspire generations of writers to try their hand at a Western, at least once. The plot: A dead man is found slumped against a trash can on an island beach, having apparently choked to death on a piece of steak. There are no signs of foul play and the man has no ID, only a single Russian coin in his pocket. Though the man is eventually identified, no one knows how he wound up dead on on a beach in Maine just five hours after he was last seen alive—in Colorado. More information only makes this case sound increasingly impossible. The case of the Colorado Kid is discussed at length by a group of reporters and many wild theories are postulated, but it is no closer to solved when you finally close the book. Why? WHY?! Unlike the first example, this was done by design. Not because Stephen King wants to torture us (although I’m sure he considers it a bonus), but because that’s kind of the whole theme of the story—an unsolvable mystery, and the crazy ideas that come out of our heads when we struggle to understand the inexplicable. But if you’re really dying to know who offed the Colorado Kid, I’m sure the TV show that claims to be based on the book will have to make up an answer if they want to get renewed for another season. The plot: The very first starship named Enterprise couldn’t even complete its maiden voyage without stumbling into the middle of the Temporal Cold War. Over the course of the first season Captain Archer learns that various factions from the distant future are trying to manipulate the past in order to remove their enemies from history and ensure that their own timeline comes to be. A war fought through time travel was the most interesting storyline the franchise came up with since the Dominion arrived on DS9. Like that arc, the Temporal Cold War promised to show us lots of new and unexplored parts of Star Trek, particularly the fascinating (but rarely seen) agents of the Department of Temporal Investigations, and even the distant future, which has often been teased but never fully explored in any of the shows or movies. But the Enterprise is able to pretty much ignore the war until it is hastily wrapped up (offscreen, no less) at the beginning of season 4. Then the show goes back to revisiting all of the well-known alien races like Klingons and Vulcans so the writers can make stammering attempts to explain away a bunch of decades-old continuity errors from other shows. Why? WHY?! This is the only one on this list that technically has a resolution, but it explained so little and was so poorly done that they might as well not have bothered. Enterprise’s best story arc was undone by that other scourge of televised narrative: network interference. Someone gave the producers the impression that viewers were tired of the time travel arc, but the message boards at the time said they just wanted to see it actually developed, and not used as an excuse to introduce a weird new alien for one episode by saying it was from the future. Ironically, when they cut it off and settled for simply revisiting all the old Trek staples viewers did get tired and the show never got a fifth season. Let that be a lesson to you—don’t give up on a great idea just because it’s difficult. The Temporal Cold War eventually got the development and resolution it deserved in a pair of excellent tie-in novels by Christopher L. Bennett, but it's sad that the best idea of the show was dropped by its writers and had to wait seven years for a proper ending in another medium. The plot: The story follows a variety of characters, from Mexican cops to German novelists, all over the world and in different time periods across five volumes, so it is not easily summarized. Unless you’re looking for closure, in which case I only need one word: NONE. Every subplot introduced ends in frustration and failure, if it ends at all. A circle of literary critics undertake an odyssey to meet their idol to find they have wasted their time and expense on a rumor. The only suspect in a brutal murder spree is revealed to (possibly) be a red herring, but the true villain is never revealed. Bolano’s epic of degradation and death offers as little in the way of answers as it does hope. Why? WHY?! 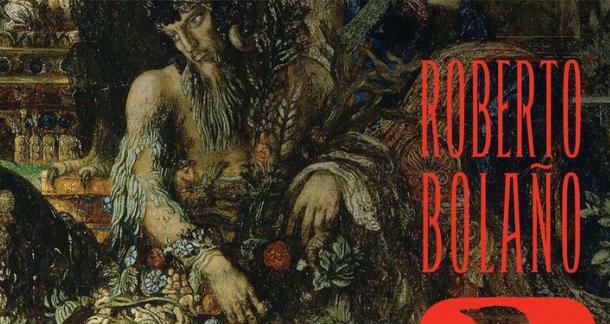 Sadly, Roberto Bolano died before he could finish 2666. I know it’s hard to imagine a thousand-plus page novel could feel incomplete, but there is the nagging sense that the whole thing was building to a revelation that we will never see. Despite the lack of any conclusion, it is inarguably the magnum opus of a fiction master craftsman— a final, gorgeously unflattering rendition of a modern world crumbling with decay in all its forms. I highly recommend reading it, but only if you’ve got a mountain of free time and are in a really good frame of mind. This unfinished novel made me a Bolano fan and I am now working my way through his back catalogue, taking a year or two between titles, so that for a while I will always have another Bolano book to look forward to. These five stories are the ones that keep me up at night, pondering the infinitude of what-ifs. There are countless unfinished works in the annals of fiction, many more famous than the ones I’ve listed. While some are truly incomplete and others are merely victims of sloppy editing or outside interference, the end result is the same. Reading one of these is like hearing the first few bars of a song—you can’t help but try to hum the rest. If you ever find yourself stuck under a writer’s block, few things will jump-start your imagination like trying to imagine the conclusion to a story with no end. Once the gears get turning, you might just crank out an ending for your own. Though 2666 is an extreme case, Bolano is pretty regularly ambiguous with narrative, which sometimes lends the story a more realistic feel (reflecting life's untidiness), and at times more uncanny. And I think I might be in the minority who actually didn't care about the driver in the Chandler. Until I read about it later, it didn't strike me as a big deal.